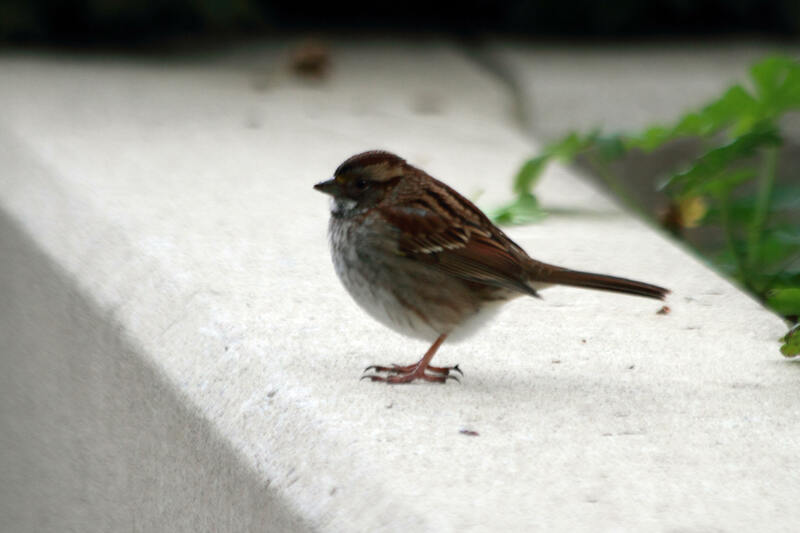 Wednesday on my way to work, I visited with White-Throated Sparrows at Union Station and 155 N. Wacker. 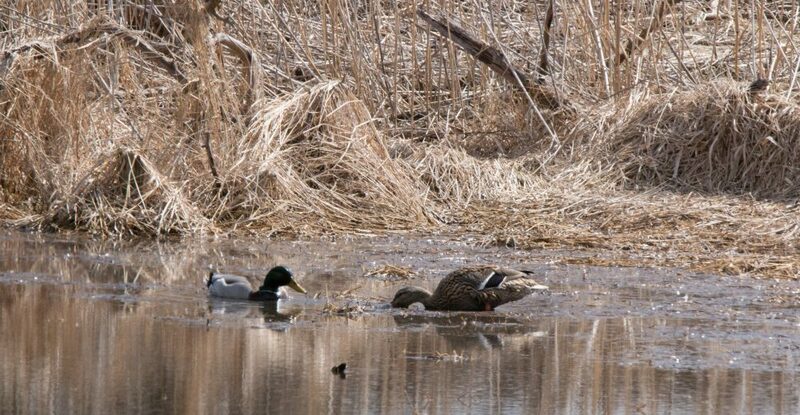 There were at least a dozen or more at each location, making them easy to see and sometimes photograph. The light is always poor, though, early in the morning at 155 N. Wacker because of the building shadows. Even so, sometimes it’s worth the effort. 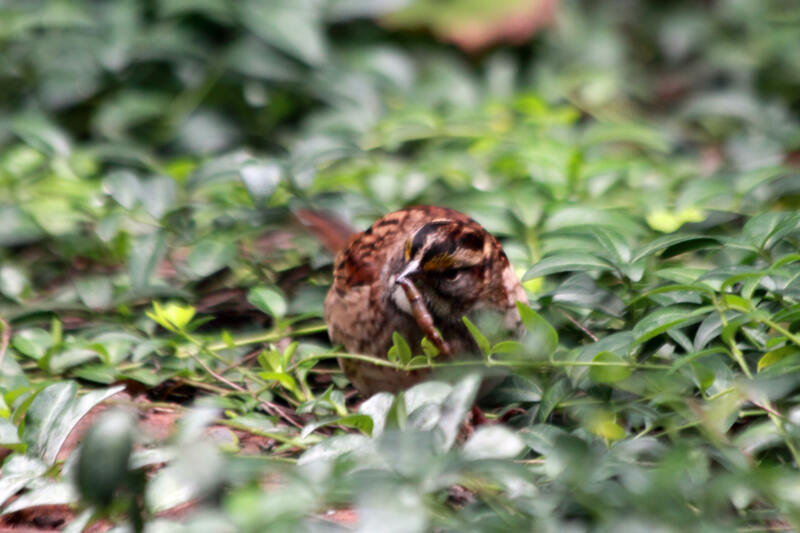 So I had this White-Throated Sparrow who was so interested in his worm, he almost forgot about me. Click on the pictures for enlargements. Here’s a side view of another White-Throated Sparrow. The individual differences between birds always interest me. 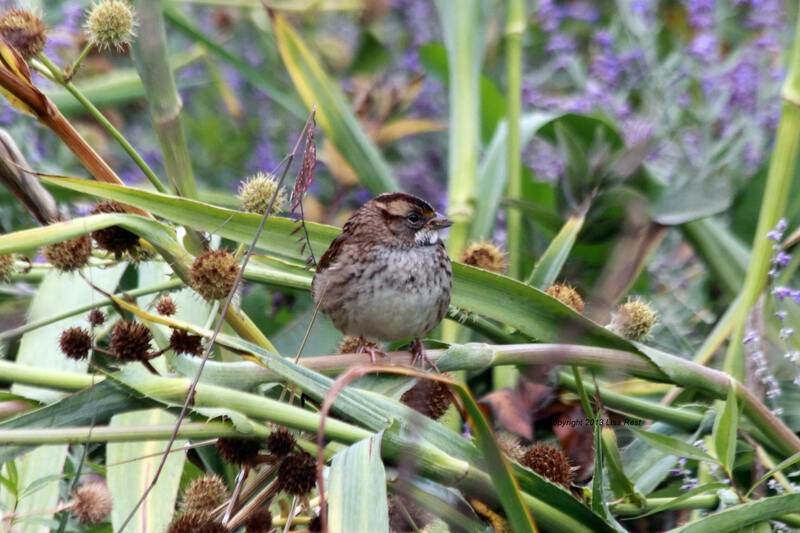 Later that afternoon at the Lurie Garden, I caught this White-Throated Sparrow contemplating his next move. The garden must seem like heaven for these guys this time of year. 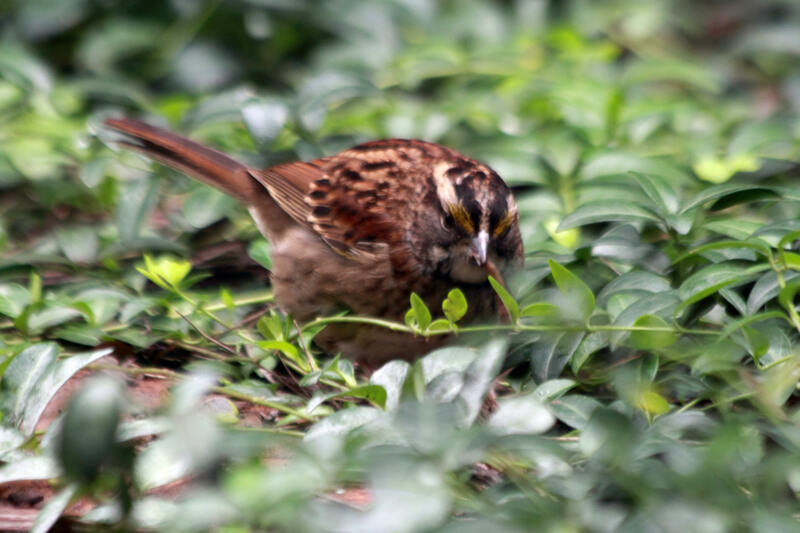 This entry was posted in birds, Sparrows and tagged 155 N. Wacker Drive, Lurie Garden, White-Throated Sparrow by Lisa Rest. Bookmark the permalink. 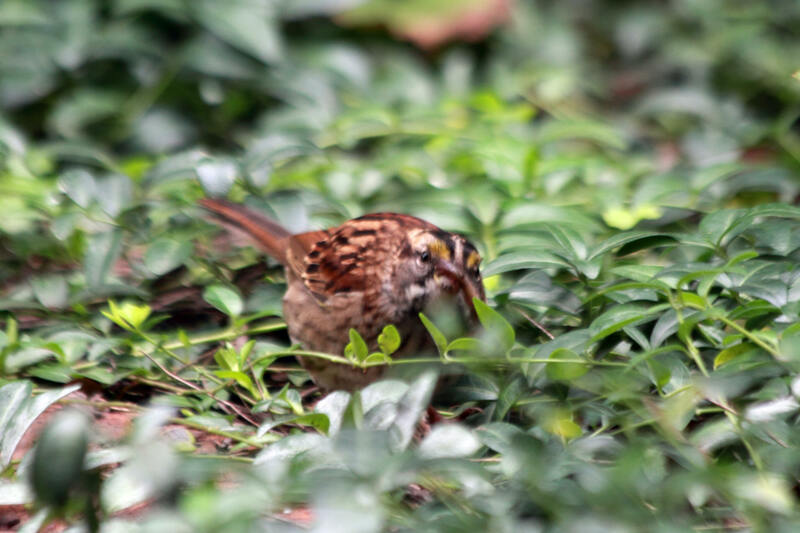 Very good worm concentration on the part of the sparrow. Yes, indeed and I was quite taken by it. I have seen them attacking berries with the same gusto later in the day but it’s harder to get pictures.